All music except Vocals, Lyrics and Clav, Written, Arranged, Remixed, Performed, Produced, Mixed and Mastered by Craig Dukes for Transparency Audio and Music Productions. Clav/Keyboard by Bob Crawford.Vocals and Lyrics written by R.Kelly. 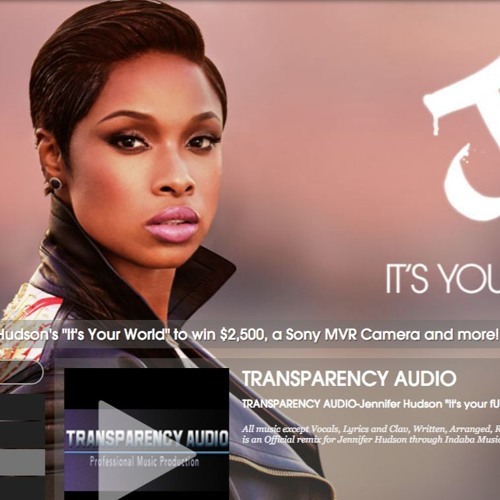 This is an Official remix for Jennifer Hudson through Indaba Music. © 2014 All Rights Reserved.